independent libraries of comic book characters. Platinum Studios, Inc. is a comic book based entertainment company controlling one of the world’s largest independent libraries of comic book characters, which it develops for filmed entertainment, games, merchandise and other media. Fourteen time New York Times Best Seller creator Scott Mitchell Rosenberg is the Chairman and CEO. Productions include the number one box office film, “Cowboys & Aliens”, starring Star Wars’ Harrison Ford (“Star Wars”, “Indiana Jones”) and “James Bond” lead, Daniel Craig. Platinum Studios’ library includes characters that have appeared worldwide in both millions of comics and broadcast television, film, games, the internet and more. Rosenberg established Platinum Studios in 1997 following a successful, high-profile career as the founder of Malibu Comics, a leading independent comic book company that he sold to Marvel Comics in 1994, then becoming the second highest ranking executive at Marvel. During his time at Malibu Comics, Scott Mitchell Rosenberg’s company broke every sales and marketing record known to independent comic publishing, was the first to launch an entire comic book publishing line via television advertising and became the first line-wide digital comic publisher after innovatively adapting the Adobe Photoshop software for computer color production of comics. Scott Rosenberg and Malibu Comics have led many successful comic spin-offs into toys, television, and feature films, including signing the billion-dollar live action film and animated television phenomenon, “Men in Black”, with Sony Pictures, which has now generated over $1.6-billion in box office alone. Platinum Studios has been financed, in part, by way of ongoing royalties from the “Men in Black” franchise, including each of the “Men in Black” sequels and the multiple seasons of the animated series. “Men in Black” is the number one domestic grossing action buddy comedy, and the number one sci-fi comedy, of all time. Platinum Studios has released films and television programming with Universal Pictures, Paramount Pictures, DreamWorks Pictures, MGM Television, Showtime, and Lionsgate, and has developed film or television with others, including Disney, Time-Warner’s New Line Films, 20th Century Fox and Sony Pictures Entertainment. Thus far, Platinum Studios, who’s comic book rights library contains other international comic characters as well, is the only company to produce an English language live action dramatic TV series based on a French or Belgian comic book. All other productions have been animated or comedic programming. Jeremiah, a 35-hour story, told in its entirety, has been on Showtime, Syfy Channel and broadcast television, and aired worldwide. The $150 million dollar production of Cowboys & Aliens, also executive produced by Steven Spielberg is based on characters from Platinum’s library. Another film is “Dylan Dog: Dead Of Night” based on the 50 million selling comic book series, and looks to be a strong franchise as an Italian film series. Platinum Studios regularly teams up with many other billion-dollar grossing film and television producers for both development and production including such storytellers as Steven Spielberg, Ron Howard, Brian Grazer, Shrek producer John Williams, and producers or story developers of major film or television productions such as “Transformers”, “Batman Begins”, “Superman Returns”, all the “Harry Potter” movies, Denis L. Stewart’s “Teenage Mutant Ninja Turtles”, “Star Trek”, and others. The first film based on the New York Times Bestseller Graphic Album, “Cowboys & Aliens” created by Rosenberg when he was a kid – is distributed worldwide by Paramount Pictures, and domestically by Universal Studios, thus far grossed nearly $175 million dollars, not including TV and ancillary sales. Scott Mitchell Rosenberg is the Chairman and CEO of Platinum Studios, Inc., an entertainment company that controls one of the world’s largest independent libraries of comic book characters. Rosenberg as producer, with Platinum Studios, adapts them for film, television and all other media. The library includes characters that have appeared worldwide in millions of comics. Rosenberg established Platinum Studios in 1997, following a successful, high-profile career as the founder of Malibu Comics, a leading independent comic book company that he sold to Marvel Comics in 1994, after which becoming the second highest ranking executive at Marvel. During his time at Malibu, Scott Mitchell Rosenberg broke every sales and marketing record known to independent comic publishing and led many successful comic spin-offs into toys, television, and feature films, including signing the billion-dollar live action film and animated television phenomenon Men in Black with Sony Pictures. Platinum Studios, with Rosenberg as a producer, has released films and television programming with Universal Pictures, Paramount Pictures, DreamWorks Films, MGM, Showtime, and Lionsgate, and has developed film or television with others, including Disney, Time-Warner’s New Line Films, 20th Century Fox and Sony Pictures Entertainment. Rosenberg has teamed up with many other film and television producers for both development and production including Steven Spielberg, Ron Howard, Brian Grazer, Kurtzman & Orci (Transformers), David S. Goyer (The Dark Knight, Man of Steel), John Williams (Shrek), Robert Cort (Mr. Holland’s Opus and Bill and Ted’s excellent Adventures), David Heyman (the Harry Potter movies), Gil Adler (Superman Returns), Denis L. Stewart (Teenage Mutant Ninja Turtles) and many more of note. Appearing 14 times on the New York Times Bestseller list, the Cowboys & Aliens graphic novel — created by Rosenberg when he was a kid — has now been produced into its first film grossing nearly 200 million dollars, not including TV and ancillary sales, the film stars Harrison Ford and Daniel Craig. Scott Rosenberg began his career in the comic book industry at age 13 when he started a mail order company. He became known for picking early hits from often-unknown talent by focusing not on sales but on the stories they were telling. Based on his retail success, Rosenberg began publishing his own independent comic book titles, which led to the creation of Malibu Comics in 1986. His first launch, Ex-Mutants, was an instant hit. It was at Malibu Comics that Rosenberg also acquired Men in Black for comics from it’s creator who was passed by 70 publishers before being given a publishing green light from Rosenberg. This, of course, went on to become the massive Men in Black franchise, currently consisting of three films, an animated TV series, a Universal Studios ride attraction and in numerous forms of merchandise. soon allow those smaller companies to look bigger, minimizing their costs and maximizing the quality of their output. In addition, Rosenberg worked with Adobe and their Photoshop software to develop the leading standard system for the computer coloring of comic books. Rosenberg brokered a deal in 1992, in which seven top-selling artists defected en-masse from Marvel Comics to form Image Comics at Malibu Comics instead of the major two publishers, Marvel and DC Comics. Rosenberg signed the artists to a label deal, giving the upstart creator-run publisher access to Malibu Comics’ distribution channels and well-regarded marketing division. This, and Malibu’s other titles, subsequently led to Malibu breaking all sales records for independent comics, including temporarily moving ahead of industry giant, DC Comics. Rosenberg has recently worked on a deal to bring Platinum Studios digital distribution rights to some of these same titles. 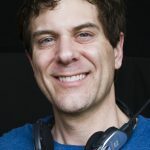 Today, Scott Mitchell Rosenberg produces and develops comic book properties for all media, including slates of live-action and animated feature films, television series for major networks, direct to DVD features, animated features and direct to web content. His vision has allowed Platinum to develop the business model of the future where properties are developed simultaneously for multiple distribution models to maximize profitability, visibility and availability for everyone involved, from the creator to the consumer. He can also often be seen perusing the 1000 page plus comic character bible he created that starts before the Big Bang and spans 14 billion years and multiple dimensions! All Site content and Ⓒ 2016 Platinum Studios Inc, unless otherwise noted here. All rights reserved.